Members of the Ararat Pistol Club embrace the fun, excitement and traditions of cowboy lore as they bring the American wild west to Ararat. Single action shooting tests shooters’ accuracy while bringing back the days of the Old West in a celebration of the cowboy lifestyle. 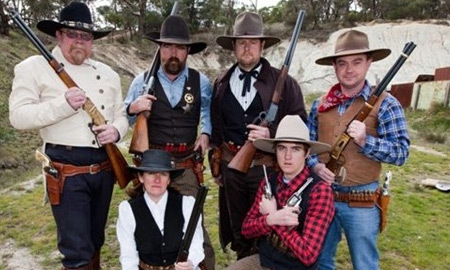 Four members of the Ararat Pistol Club travelled interstate in July to participate in the South Australian Single Action Shooting State Titles. Thirteen Victorians represented their state in the competition which was held at the State Shooting Park in Virginia, just north of Adelaide.